36 Note cards for only $12.99 - Envelopes are free!! This set features 36 blank note cards from - Bloom Where You're Planted - with a glossy finish on the outside of the note card. Note cards are blank on the inside. Note card size: 6.125" x 4.625"
These greeting cards are blank inside and feature stunning photographs of beautiful Spring blossoms. They measure 5.5" x 4.25" folded.They are printed on high quality white stock. Made in the USA. Coordinating plain white envelopes are included, cards are blank inside. 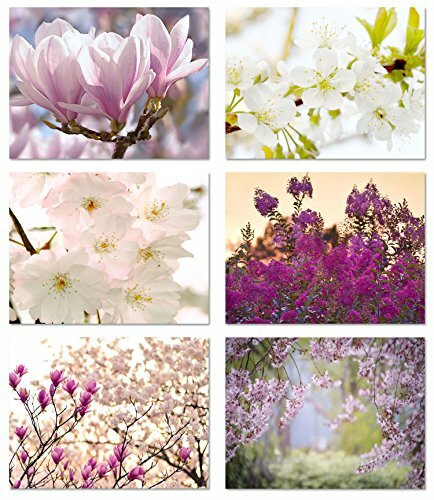 The card pack contains 6 unique designs showcasing the beauty of the Spring blossom flowers. Perfect for ANY occasion! Nothing is more special than receiving a thoughtful, handwritten note. 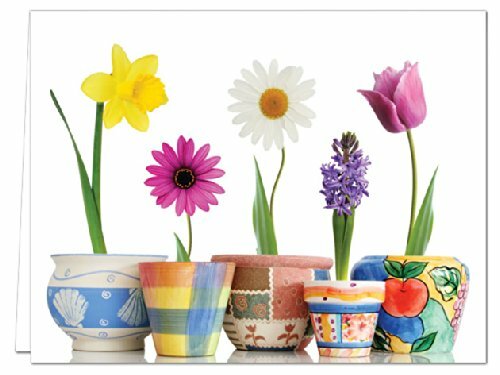 These greeting cards are blank inside and feature stunning photographs of beautiful Spring flowers. They measure 5.5" x 4.25" folded.They are printed on high quality white stock. Made in the USA. Coordinating plain white envelopes are included, cards are blank inside. 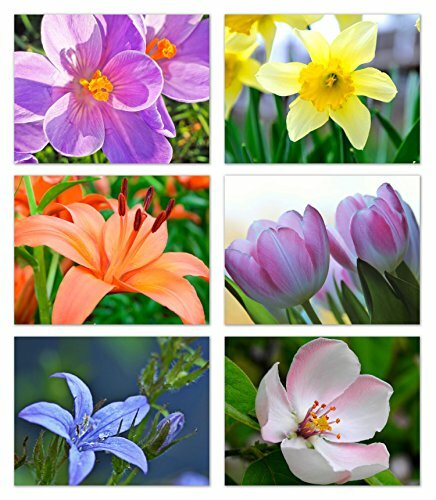 The card pack contains 6 unique designs showcasing the beauty of the Spring flowers. Perfect for ANY occasion! Nothing is more special than receiving a thoughtful, handwritten note. 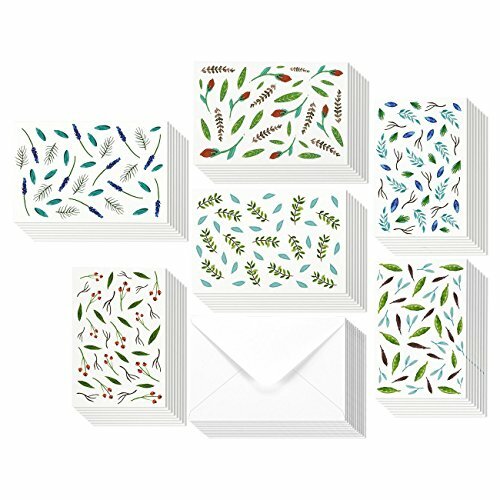 This assorted pack of 48 Watercolor Leaf style Greeting Cards will prepare you for all your card-sending needs! Cut the hassle of rushing to the store and overpaying for cards. This pack consists of 48 blank Watercolor Leaf style Greeting Cards to include your very own custom messages for corporate and personal use. Each card features one of 6 fresh and attractive designs. 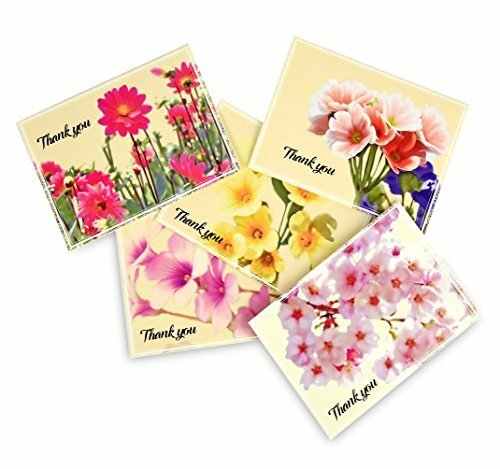 Make a statement with these thank you cards made of high-quality, card stock that feels thick and sturdy. Each card measures at 4 x 6 inches and comes with corresponding envelopes. Make sure you have plenty of greeting cards on hand for when occasions arise. These attractive note cards are 4 7/8 x 3 1/2 folded, printed on 115# white cover stock, and made in the USA. They are scored for easy folding and mail with standard postage. Coordinating envelopes are included. Cards are blank inside and envelopes are not personalized. The card pack contains 24 thank you note cards, with 6 of each design. Click on the alternate images to display each design included in pack. Take the time to drop a note to family and friends as a thoughtful gesture on birthdays, special occasions, or to say thank you. 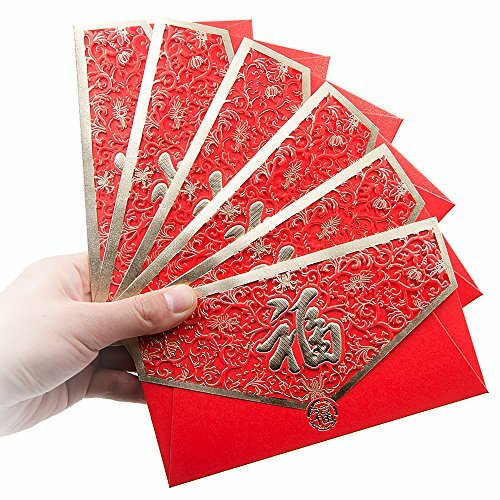 Use these note cards as an enclosure card with gifts. 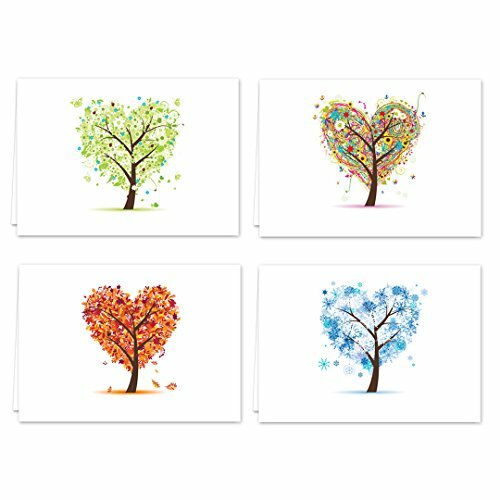 With an attractive design, these appealing note cards will beautifully convey your messages to those who are so special to you. Or give a set as a gift to friends or family. 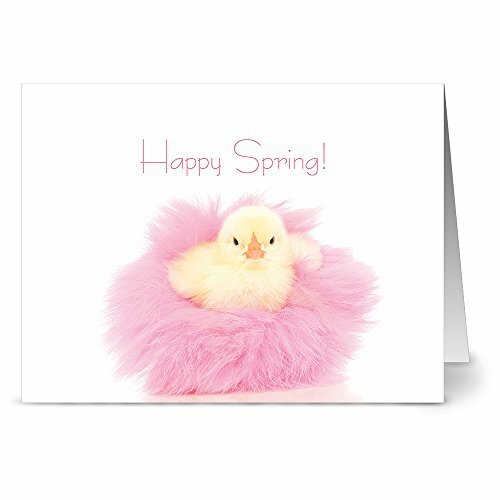 A darling spring chick wearing a pink feather tutu graces the front of these notecards. Cards have a high quality glossy exterior and are blank inside. Coordinating envelopes are included. 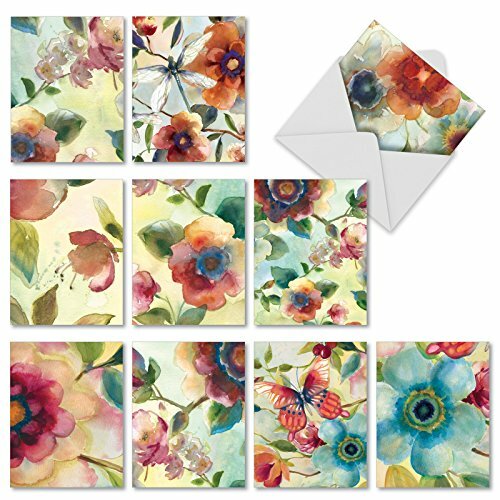 M3314 Watercolor Botanicals: 10 Assorted Blank All-Occasion Note Cards Featuring Details of Floral-Themed Watercolor Paintings, w/White Envelopes. Easter & Spring Theme Card Inspirations with Mini Envelopes. 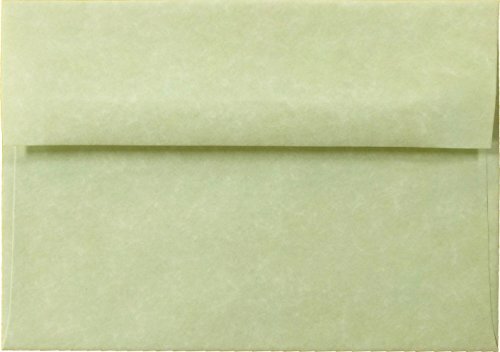 Compare prices on Spring Envelopes at ShoppinGent.com – use promo codes and coupons for best offers and deals. Start smart buying with ShoppinGent.com right now and choose your golden price on every purchase.